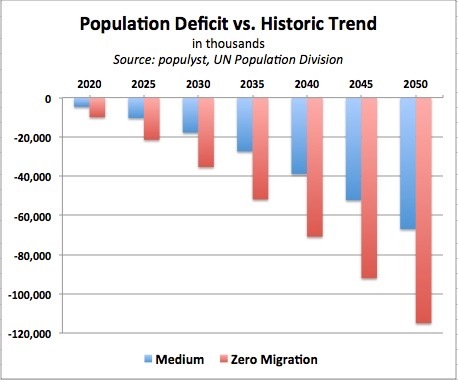 It is important to highlight the demographic shortfall vs. the historic trajectory because some of today’s more extreme anti-immigration rhetoric is expressed alongside a desire to return to the better economic conditions of the past. These conditions can be recovered through other paths but not through measures that exacerbate the population slowdown. 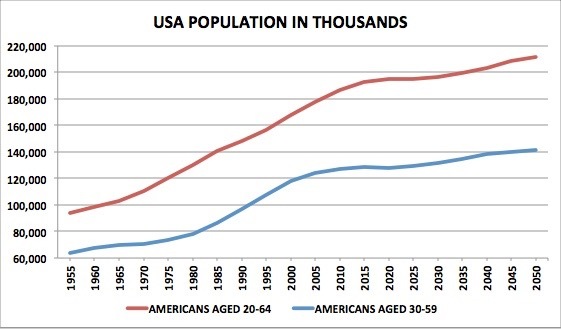 Indeed if we judge by the figures above, it is clear that returning to the past is not in the realm of the possible, at least as far as demographics are concerned. 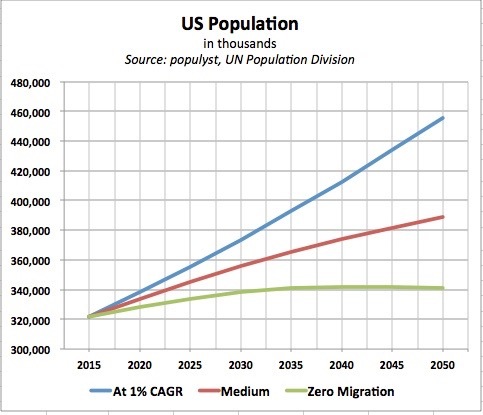 It should also be remembered that world demographics are far from standing still. 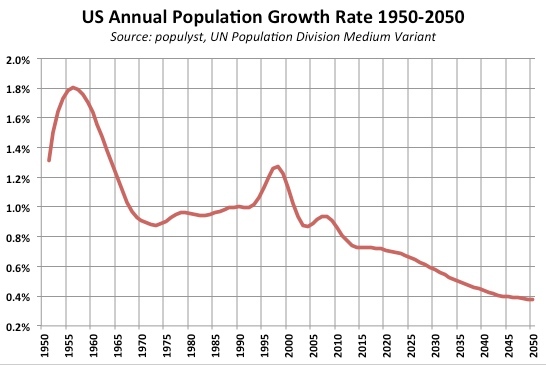 See here and here or consult the demography archive.